Choose any two or three colors for your custom marbleized pattern. 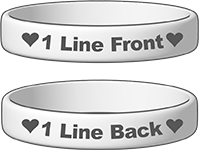 We’ll swirl together high-quality silicones for a dynamic, unique wristband. 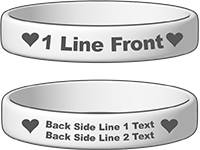 Looking for a wristband that stands out from the ordinary? 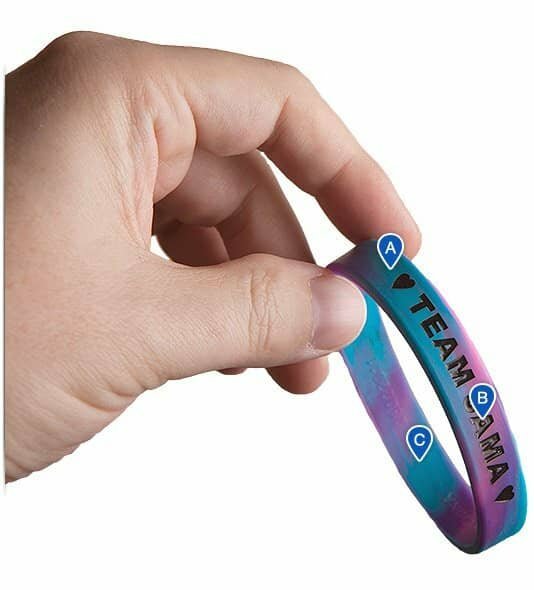 These wristbands blend together two or three colors for an eye-popping marbleized effect. Pick from several sizes and all stock colors and add your own custom message and art. See it in action with our 3D viewer at right – the band is marbleized yellow and black with yellow color-fill text.